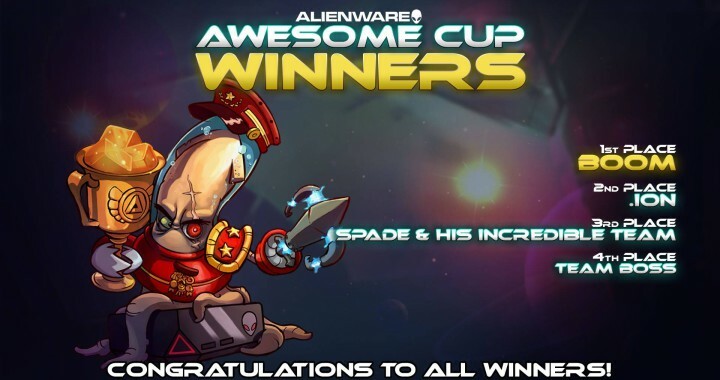 The Alienware Awesome Cup 2 was won by BOOM! Some of you have suspected this might happen for a long time, as BOOM has risen to the top of the Qualifiers as soon as they started competing. Still, they faced stiff competition as matches were heating up in finals played last weekend. But despite a great showing from newcomer Spade & His Incredible Team and AAC veteran team .ion. None could stop the Brazilian team BOOM from reaching the grand finale versus .ion. After BOOM showed their prowess in their first match, .ion made a strong comeback in the second. However, in the final match team BOOM scored a resounding victory against .ion and thereby won the tourney! 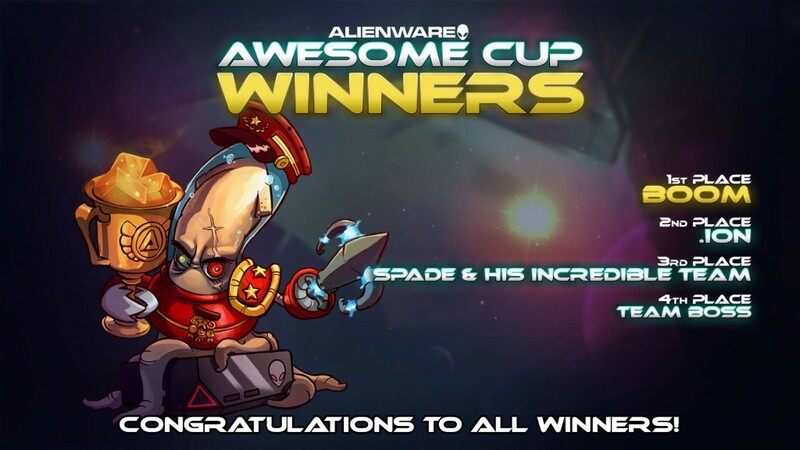 A huge thank you to everyone who played in the Alienware Awesome Cup 2! We hope you all had a good time, we sure did. For all records, standings, replays and VODs, check out the amazing Awesome Cup Site provided by our friends at Gosu gamers.